People contemplating a move to another country tend to base their decision on a combination of financial, professional and personal factors. The UAE scores high on all these aspects, continuing to rank among the world’s top countries to live in. The high standard of living and low levels of risk help enhance the UAE’s appeal for expats. In fact, many arrive with the intention of staying for a limited period until they make enough money, and are surprised to find themselves putting down roots and settling here for the long term. The UAE has a relatively young population with an average age of just 30 years. Therefore, building communities that provide an ideal environment to raise families while combining convenience and affordability is key. Proximity to schools and availability of wide open spaces are among the main factors growing families consider when choosing their future place of residence. Residents of Dubai — home to over 200 nationalities — show distinct location preferences based on where they come from. Most clients from the GCC opt to live in Jumeirah, while areas such as Arabian Ranches and Motor City attract Europeans. High-rise living in Downtown Dubai or Dubai Marina is popular among singles and couples without kids. However, finding the right balance between affordability, convenience and space requirements is not always easy. In the past, affordable living was often synonymous with remote locations along the 311 corridor, with limited infrastructure and conveniences, or required settling for the more mature, established areas, which are often plagued by traffic congestion such as Deira and Sharjah. The increase in occupancy and resulting infrastructure development, as well as retail and leisure offerings, means that young families have a much wider choice, with neighbourhoods such as Discovery Gardens, Dubai Sports City and Dubai Silicon Oasis addressing their needs. Young families typically face budget restrictions due to the growing expenses of raising children. Given the constraints, they tend to prefer affordable communities such as The Springs, Jumeirah Village and Mirdif. A gated community set amid scenic waterways and lush landscaping, Springs is ideal for young families due to its proximity to well-established schools. Together with The Meadows, The Lakes, Hattan and Emirates Hills, Springs is part of the Emirates Living master community. The neighbourhood is home to Dubai British School, and close to Emirates International School and Jebel Ali Village Nursery in The Meadows, Dubai International Academy in Emirates Hills and Regent International School in The Greens. Jumeirah Village, divided into two parts, Triangle and Circle, consists of spacious villas, town houses and apartment buildings inspired by classic Arabian and Mediterranean styles. The neighbourhood features lush green spaces, lakes, community centres and a selection of shops. The area is remarkably well-served by a selection of schools catering to diverse requirements. JSS International School, a popular institution in the Indian community, is in Jumeirah Village Circle, while Gems United School, just next door in Dubai Sports City, and Nord Anglia International School Dubai in Al Barsha are easily accessible. Situated closer to old Dubai, near Dubai International Airport and Dubai Festival City, Mirdif was once on the outskirts of the city, but is now a well-connected area for expatriates who work in old Dubai. The focal point of the community is Uptown Mirdif with its Spinneys supermarket, food court and a wide range of shops, cafés, restaurants and an apartment complex. 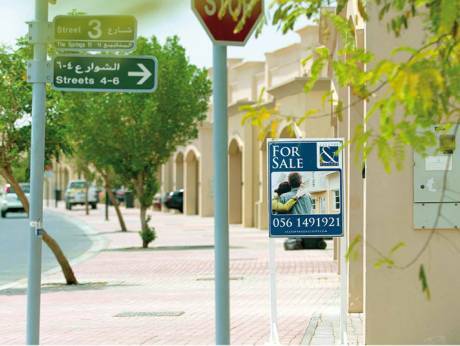 Greater Mirdif includes villa communities in Al Warqa’a, Al Mizhar and Al Khawaneej. There are several schools in the neighbourhood — Gems Royal Dubai School, the British-curriculum Star International School Mirdif and Uptown School. There is also the all-girls Al-Mizhar American Academy and all-boys Our Own High School or the Indian-curriculum Rajagiri International School, both in Al Warqa’a. The 125-hectare Mushrif Park is easily accessible from almost anywhere in the neighbourhood. In Abu Dhabi, which is more popular with residents from the GCC, favourite areas of young families include Al Ghadeer, Al Reef and Hydra Village. Positioned between Dubai and Abu Dhabi, near Al Maktoum International Airport and the World Expo 2020 site, Al Ghadeer is a modern and affordable community designed for easy living. The neighbourhood is being enhanced with a new mixed-use development, taking shape across 3 million sq m.
While not so long ago, young families were often confined to smaller units in apartment buildings, falling rental rates have given renters and buyers an advantage in the property market. Families can now afford to live in conveniently located gated communities with a variety of amenities, parks and green spaces without breaking the bank.